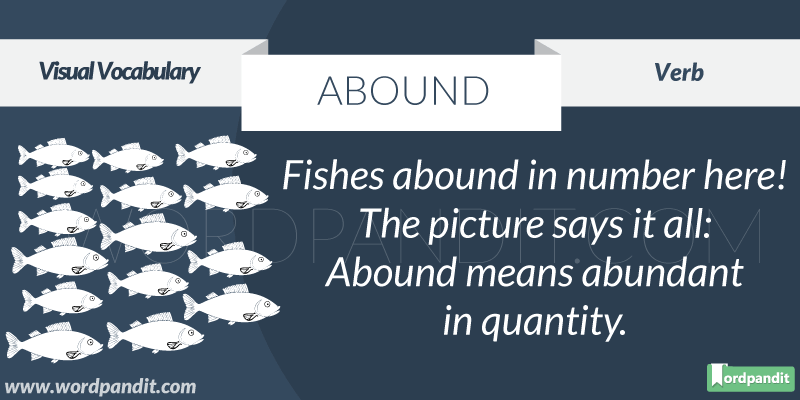 What does abound mean? Let’s learn this word with a practice example. We all know that Mother Teresa’s heart was full of love, patience and compassion for the mankind. We can that in the world of today, it is very difficult to find someone whose heart abounds in so much love and very few have the capability to give to the world as Mother Teresa did. This word can be used in multiple contexts and as you explore the meaning of this word, we sincerely hope you will find that one thing that abounds in you and your heart. This thing, this feeling, this drive is labelled by many as passion and once you discover it, you realise what passionate living is all about. In fact, this is what your purpose in life should be: to discover your passion and then pursue it with all your might. This word can be easily learnt with the help of the word abundant. Abundant means rich and plentiful and our word in concern also means to be present richly and plentifully. You can also learn this word by simply thinking of it as something that does have any boundaries. Remember, this word is a verb and that impacts its usage. 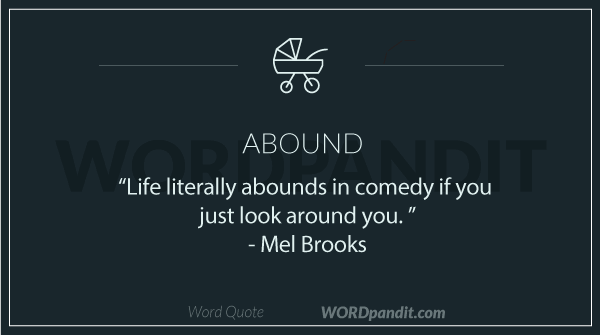 Abound – something which doesnot have bounds – boundary.